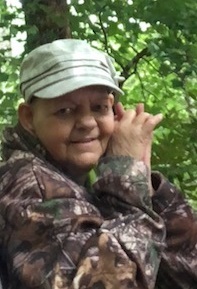 Donna Marie Head, 75, of Lee County, GA, widow of Jerry Ben Head, died October 14, 2018 at her daughter’s residence. Funeral services will be held Wednesday at 11:00 AM at Mathews Funeral Home. Pastor Randy Graham, Dr. Darrel Quinn and Mr. Robert Clay will officiate. Interment will follow in Leesburg Cemetery. A native of DeFuniak Springs, FL, Mrs. Head moved to Lee County, GA in 1977. She received her Associates of Criminology and Accounting from Darton College. Mrs. Head was employed with the Lee County Board of Education for fifteen years as a bus driver and in the lunch room. She drove the Lee County Football Team all over the State of Georgia for away games and after her retirement, she was a monitor on the special needs bus. Mrs. Head was a member of the Loyal Order of the Moose, she loved investigative television shows, loved to read and sew and loved children. Survivors include her children, Charlotte (Bo) Peddy of Leesburg, GA, Libby (Ted) Hall of St. Augustine, FL, Melissa (Joe) Morris of Leslie, GA and Chad Head of Leesburg, GA, two sisters, Mable Johnson of Leslie, GA and Vivian Madison of Jesup, GA, four brothers, Steve Henderson of Samson, AL, George Henderson and Buddy Pryor and Kenneth Henderson all of DeFuniak Springs, FL. four grandchildren, Brad Head of Lee County, GA, Tommy Russell of South Carolina, Brandie Garcia of Lee County, GA and Jeremy Russell of Albany, GA and nine great-grandchildren. The family will receive friends from 6:00 PM until 8:00 PM Tuesday at Mathews Funeral Home.